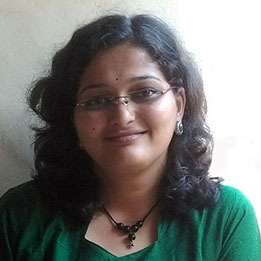 Purva has Masters degree in Marathi as well as Sanskrit. She has been teaching Marathi since past 6 years. Purva is also an RJ and runs her show on a Marathi radio station. She has worked in linguistics at TIFR, Mumbai. Purva is also a dubbing artist and gives voice over for Marathi movies. This course brings you spoken Marathi tutorials! You will learn basic Marathi through small conversation topics and phrases. If you are traveling to Mumbai or any place in Maharashtra, keep this course handy! Marathi is the most spoken language in Maharashtra and Mumbai - The financial capital of India! It is also the official language of the state of Maharashtra. If you are coming to Mumbai, Pune or any other places in Maharashtra for work or travel then learn Marathi to interact with colleagues and people there. Even when you are related to government jobs or businesses then learning Marathi can be very useful.